I’ve never been birding in Kansas but it’s safe to say I’d be selling my experience as a Kansan short if I didn’t. Our state can be one of the most opportunistic places to see rare species of birds due to their migration patterns. Which brings us to the upcoming Kansas Birding Festival (April 27-29). The festival began in 2004 and continues every other year opposite the Wings ‘N Wetlands festival held at Cheyenne Bottoms in Great Bend. Local birdwatcher and the Agriculture & Natural Resources Agent for Geary County, Chuck Otte, along with the Geary County CVB and a team of experienced volunteers, work to make this event at Milford Lake in Wakefield, a must-attend for birding. 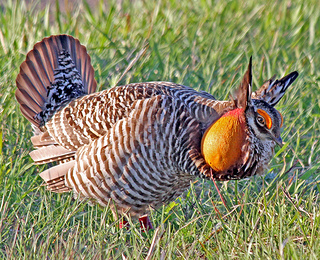 The area sees over 300 species of birds including the popular Prairie Chicken, which makes its appearance this season. I caught up with Chuck to learn more about the event, especially as an interested, yet novice, bird watcher. Why is this particular area so primed for birding? 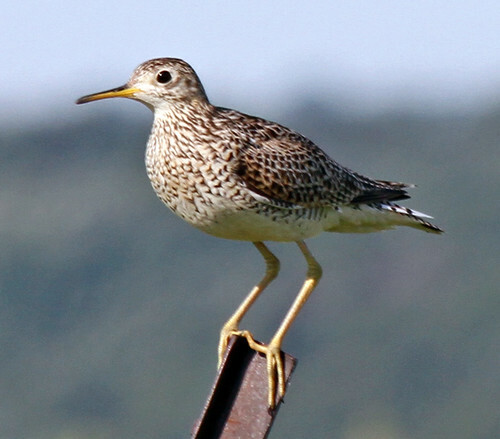 Because of its geographical location and public access to many areas, birdwatchers have the opportunity to observe wetland species, tall grass prairie species and eastern deciduous forest species. The end of April was selected to catch the end of the shorebirds/waterbird migration and the start of the songbird migration. What kind of seminars are offered at the Kansas Birding Festival? 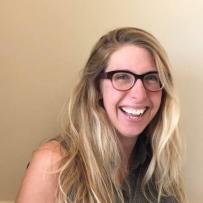 Since most participants are birding festivals are beginning and intermediate birders, we try to focus our seminars on topics to help them be better birders and more aware of bird conservation issues. Based on the registration, birders can pick and choose where they what guided field trips they can attend, which do you recommend? All the field trips are good and most participants can go on nearly all of them through the three days. Konza Prairie gives attendees an insight on the tall grass prairie and how it might have looked prior to European settlement. The Prairie Chicken viewing opportunities give folks a chance to see the courtship displays of the amazing Greater Prairie Chicken. Backroads Adventures gives those folks with a lower level of birding interest an opportunity to see some of the unique features of the local area. For the birdwatcher that wants to see a lot of different birds, the other trips give you a great opportunity to bird with some highly skilled birders in a variety of ecosystems. While there are nearly 300 species in the area, on average how many do attendees see? As long as the weather cooperates (meaning not a lot of wind), we expect to develop a festival list of around 150 species. Depending on how migration is progressing (and the weather), we can top 160 species in the three days. The past couple of festivals have brought in 60 to 70 attendees. This allows us to have a good guide to participant ratio so birders can receive some good one on one time learning to identify more species. How have you seen the festival grow over the years? We’ve seen growth through the first three festivals and expect it to continue to grow, barring adverse turns in the economy. Prairie Chickens are the big draw as all prairie grouse are having challenging times due to changes in their ecosystems. But just the unique mix of ecosystems and species seems to be as much of an attraction as anything. How have you seen the festival serve attendees beyond just the birding? We are finding a growing niche of bird and wildlife photographers and have offered some special opportunities for those with that interest. For the novice birder, what do I need to know before attending? What do I need to bring? What should I prepare for?